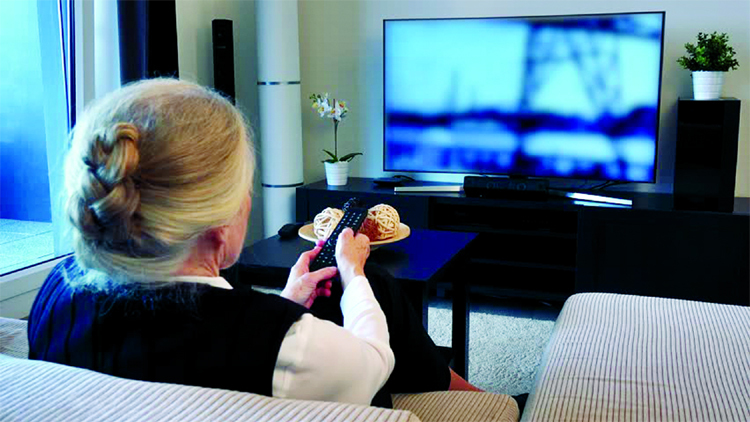 hile studies have earlier established the link between decline in focus, memory and concentration levels in children due to watching television, a recent study has found that senior citizens or older people who spent at least 3.5 hours per day watching TV experienced a significant decline in verbal memory. The study was published in the journal Scientific Reports. Researchers at University College London in the United Kingdom gathered and analysed data for over six years from the English Longitudinal Study of Ageing (ELSA) on 3,662 adults aged 50 and older. The participants of the study were required to memorise and recall lists of words within a given time. Another test asked them to list as many examples of a category (say, names of places starting with the letter A) as they could think of within a given time. It was then found that the people who watched TV for 3.5 hours or more per day had an average decline of 8-10 percent in word- and language-related memory. On the other hand, people who watched TV for fewer hours per day over the same period of time has a comparatively lesser (4 - 5 per cent) decline of verbal memory. Such stress, they argue, might arise from the alert-passive nature of TV viewing coupled with the psychological effects of witnessing violent, suspenseful, and graphic scenes. Another explanation for the study findings could be that the more time people spend watching TV, the less opportunity they have to engage in â€œcognitively beneficial activities,â€ such as reading, playing board games, and cultural pursuits.